Wind instruments, including sax, harmonica and flute. Was a vocalist in the pre-Chapman days of the group. Jim King (born Alec Woodburn, May 5, 1942, Kettering, Northamptonshire, England, died February 6, 2012, Middlewich, England. Certainly the most elusive of all of the characters in the Family saga, Jim King was a vital ingredient of the early Family recipe. And by parting company with the band, he in effect, closed a chapter in the band’s arguable legacy. 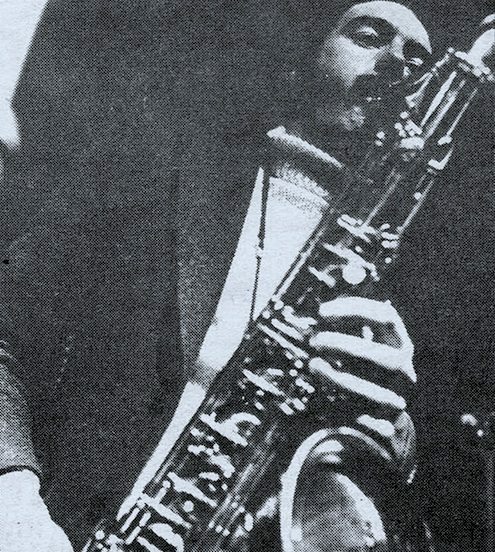 Back when John “Charlie” Whitney formed the Farinas at Leicester Art College in 1962, Jim King was the front man with vocals, saxophone and blues harp. As with countless other bands at the time. R & B and blues was there thing, and in 1964 they got one single on the Fontana label. “You’d Better Stop” was a vanilla-ized blues in the style of the Yardbirds. It was backed with the New Orleans sound of Chris Kenner’s “I Like It Like That”, (again covered by the Dave Clark five two years later). these originals King really stretched out melodically. The colorings of sound he provided helped to transform “The Family” from a clubbing group to real progressives on the scene. One of the best examples of this is the saxophone line in Family’s debut single “Scene Through the Eye of a Lens”. The song begins as a pastoral acoustic number augmented by a melodic soprano sax, which gently laps like small waves on the shore … The second half of the song gives way to a menacing rock section with some strange vocal incantations. Then the same simple sax line returns, but now the melody is insistent, edgy, and almost dangerous in context to what the song has become. And that pretty much describes what musical contributions King made to the band on their first two long-players, Music in a Doll’s House and Family Entertainment… accents and flourishes that round out the character of each song. The hair-raising falsetto was an extra trait of his that was featured in “Gypsy Woman, “The Chase” (to frightening effect), “Old Songs New Songs” (transfornling the song into a hymn of sorts). and ” Peace of Mind”. Equally culling were his chops on harmonica, like on “Old Songs New Songs” and “See Through Windows”. And saxophone is heard on almost every other song. Klezmerlike tone. Both ” How-Hi-the-Li” and “Processions” are more catering to his style, where he can accompany and float on top. ” From Past Archives” is a rich album track with a number of sections. King opens it with some campfire harmonica, and takes a soprano solo that sounds like clarinet. “Dim” is probably his biggest moment on the album, full of his lighthearted blues harp playing. Finally, ” Emotions” is a final testament to the man, where he gets to belt out his falsetto one last time, and the doubled piano playing (King and Charlie Whitney) take up the bulk of the song. 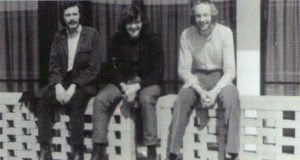 Jim King was still in the band as they prepared songs for their third album, which became A Song For Me. 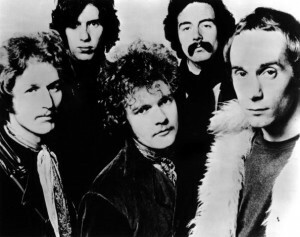 Early versions of “Drowned in Wine”, “Love is a Sleeper”, “Wheels”, and even Anyway‘s “Holding the Compass” were performed on radio spots from 1969. The big horn lines might indicate that as Family condensed into an unadorned band ready to jam, they were still writing with Jim in mind. 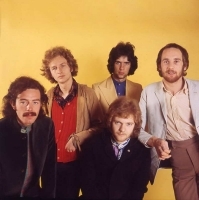 Following the release of the band’s October 1969 single, “No Mule’s Fool/Good Friend of Mine”, it was decided that King was not fit to continue. What was described as “erratic behavior” probably came down to health reasons. 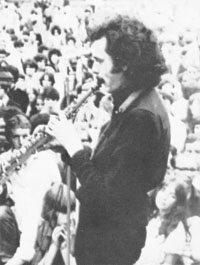 Jim King’s old friend Poli Palmer was chosen to replace him … an odd move since the closest Poli came to wind instruments was flute and that was a lesser ability of his. Vibraphone can be heard on the B-side of that last single. but it is not clear if that is Poli (probably is). Thus when it came to the recording of A Song For Me in late 1969, in many cases Poli Palmer’s flute was overdubbed exactly in the places where King would have playing. 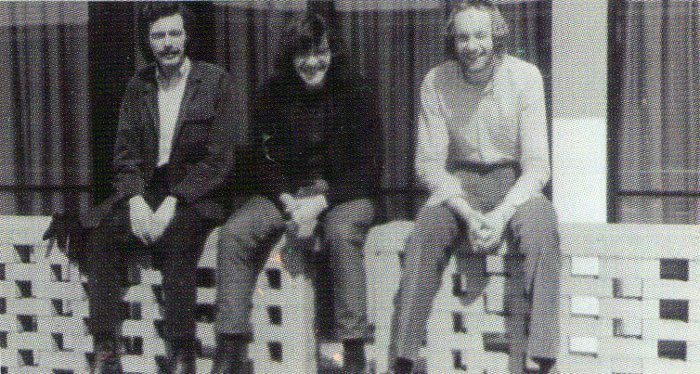 His only other recorded musical appearance was on Gordon Jackson’s Looking Back album of 1969, which had many other folks from the scene (including Ric Grech). It is written in a few places that after Family, Jim popped up in a band called Ring of Truth, but there is no other info for that. Some Family followers were able to contact him in the late 90s; Dave Eames actually bumped into him at a Chappo concert, and Mick White spoke to him for the upcoming Family biography. He was still doing some music compositional, concentrating on jazz (chromatic) harmonica. 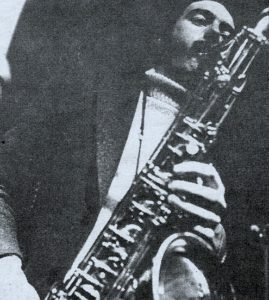 That the group failed to survive was partly due to the later absence of Jim King, whose meaty sax solos provided the ideal counterpoint to Chapman’s vocals and Whitney’s guitar work .